Finally, the day has come! I am so excited! Hope you all have your nice cup of coffee and some great background music (I recommend Coldplay's new album - TWO THUMBS UP) so you can visit all the wonderful blogs and see all the projects. We have some MAJORLY fabulous quillers lined up. So, without further ado.... HOP ON! Here is my contribution. I totally waited until the last possible minute to complete my project. I don't know what's happened to me but I've become one of "those" people. My inspiration came from (who else) Yulia Brodskaya. My favorite one of her works is that of a woman whose hair is blowing in the wind and you can see the sun and flowers. It feels like Spring. But, being that it is no longer Spring here, I decided to create a beautiful woman with flowing hair in Autumnal colors. A super duper SWEET LEAVES filled weekend to you all! Oh la! What demure yet elegant colours!!!!!!!!!!! Lovely one Sandy! YAY .. the fun has begun .. amazing colour combination Sandy ..
thank you so much for this blog hop .. Absolutely stunning!!!!!!! Love it too much!! I really love this Sandra! The colours you used are so gorgeous! The design itself is so brilliant! Stunning! I feel really tiny (though I'm 5'9") to look at your creation as compared to mine..You made my jaws dropped..Love the combination of the colours..Gorgeous.. I love your project. The colors are perfect for the season. Oh My gosh! How beautiful and unique is that! Thanks for organzing the Blog hop! It is super fun! this is so beautiful. I'm blown away. So very elegant !! You have used so many techniques so beautifully. love it. you have out done your self Sandra. Your quilling is gorgeous and Yula is a quilling icon. Speechless!!!! Your work is amazing! Thank you for allowing me to be part of your hop. I feel like this is a silly question, but how do you make and keep the swirl portions so smooth? If I use pins to hold it in place I get holes in the bottom paper and/or slight crimps in the quilling paper. and then to try to get it to stay still long enough for the glue to dry! I must be missing something. it's making it very difficult to do things even such as letters. You got it right, my cup of coffee is here, good music and I'm ready to go around the world! I love "those" kind of people :) How marvelous Autumn Woman you made! You are good organizer and a great quiller. Thanks for your invitation to be part of this blog hop. Ever so lovely with her demure chin, sweet lips, and downcast eyes! Wonderful concept that says autumn for sure. All I can say is WOW! 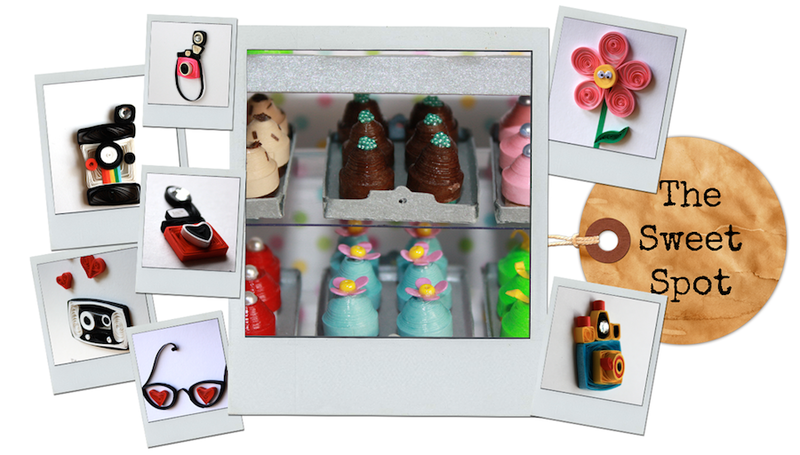 Thank you all for your wonderful feedback and thank you to all the participants for making such beautiful creations. I hope the blog hop inspires everyone to grab a strip and start rolling! Wonderful piece. The colors are fantastic and it really looks like the wind is blowing through her hair. I love it. Thanks for starting the blog hop. It was a lot of fun. wow so elegant, love it!!!! Amazing work, every details looks so beautiful!!! Congratulations! I would like to thank Sandy for the invitation, and say that I enjoyed participating and all participants deserve congratulations for the beautiful work! I'm glad for the chance to see the works of other participants, are extraordinary. Oh, GOSH!!! Wonderfull masterpiece! I think it will look georgeous in some frame! So beautiful! It'a true work of art! Thank you so much for the opportunity to join your blog hop, my first one by the way!I loved every minute! How wonderful are the works of all participants! Best wishes from Romania! i can't keep my eyes to see this masterpiece!!! wow this one is nice.. i think im a lil bit late for blogwalking since cant onlive..going back to village and know ariived home and starts to blogwalking...this one is nice love the way u combined the colour..really stunning...this show how the leaves in auntumn can be second spring when the leaves turns to be teh flowers...love it good job..
Sandy - your design is absolutely beautiful and it makes the perfect image to accompany links to the blog hop which seem to be appearing absolutely everywhere! 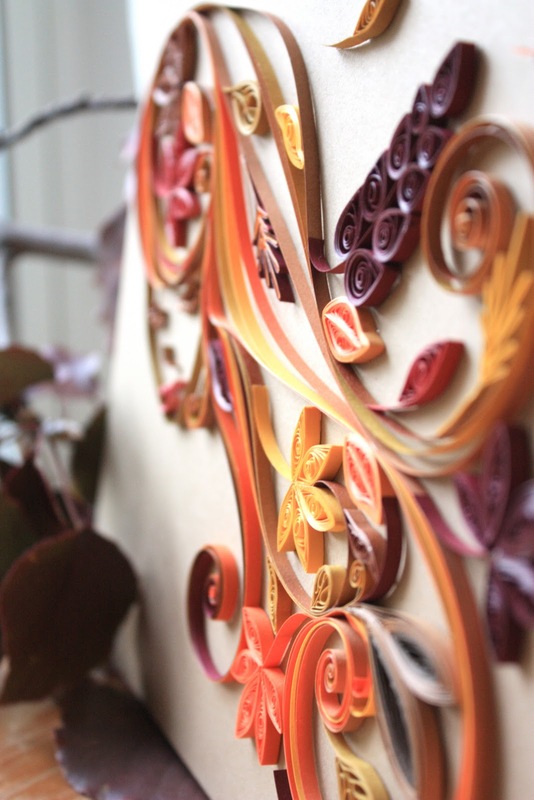 Congratulations on hosting such a successful event which is definitely helping to raise the profile of quilling worldwide ... and thanks for allowing me to take part. Your design is beautiful, the colors are fantastic. Wow! This is fantastic! Absolutely fabulous work! 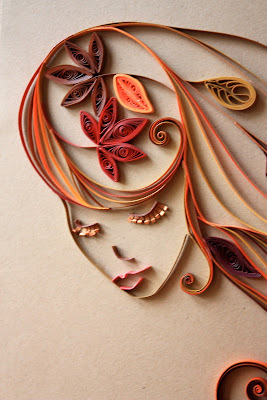 Your quilled lady is astonishing! I love the colors, the beautiful leaves and especially the eyes! Thanks a lot for this wonderful hop! It was great pleasure to admire all the projects! so sad, have missed this...really really don't know about this blog hop. I hope can to take part for next blog hop, if you don't mind, Sandy. I would love to learn how to do make this lady, autumn. Can you teach us how to make it?? I loveee it, its soo beautiful!